Following a tumultuous year marked by lagging shipping volumes, industry consolidation and the bankruptcy declaration of Hanjin Shipping, U.S. federal regulators have approved an alliance between four of the world’s largest container carriers. The four carriers in question are CMA CGM of France, China’s Cosco Group, the Orient Overseas Container Line of Hong Kong and Evergreen Marine of Taipei. 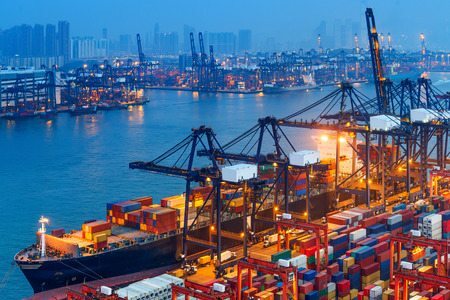 Initially, approval from the Federal Maritime Commission was delayed due to concerns regarding fair pricing for shippers that important and export goods in the U.S. Specifically, FMC officials were concerned that the alliance would allow the participating carriers to use their collective market power to artificially inflate shipping rates. But following an extensive review and revision process which adjusted the agreement to limit the joint negotiating powers of alliance members, the FMC provided the alliance with its final approval. Under the terms of the new agreement, members of the new Ocean Alliance will be able to make mutually-beneficial arrangements on international shipping lanes, share ships and charter space on each other’s vessels. Although the alliance was approved in October, 2016, it won’t become operational until April, 2017. This isn’t the first time a number of major container carriers have unified under an alliance. Recently, Maersk Line and Mediterranean Shipping Co. entered into a similar agreement that established the 10-year 2M Alliance. Meanwhile, another group of German, Japanese and Korean carriers is awaiting regulatory approval for their own alliance as well. Container carriers argue that these alliances enable them to provide better, cheaper service to their customers by allowing them to pool their collective resources. Some customers, on the other hand, have raised concerns that shipping alliances make shipments unnecessarily complicated and costly. Because these shipping alliances are so new, it’s still hard to gauge whether their impact will ultimately help or hurt the industry as a whole. One thing’s for sure, though. The next few years are shaping up to be an interesting period of change and evolution for container carriers.